Florida has a table of income levels that determine the amount of child support for a given number of children. The primary figure used to calculate support is the income of both parents. Certain expenses also go into the calculation such as taxes, health insurance, and employment related daycare costs. A popular misconception is that household expenses can be used to reduce support. In general that is not true. While most parties in a Florida divorce or custody case understand the concept of “child support,” not all understand how a Florida court calculates the precise amount of child support. It is not entirely uncommon for a divorced father of four to pay less in child support than another divorced father who has only one or two children. When some parents learn the amount of child support the court is requiring them to pay, they may feel confused, angry or cheated – especially if they know other parents in similar circumstances who do not pay as much child support. For example, did you know that in Florida, it is possible for a parent of three children to pay less in child support than the parent of one child? But the calculation of child support need not be a mystery, nor do divorcing spouses need to be surprised in court as to what amount of child support will be ordered. There are several child support calculators that can estimate child support obligations if basic information about the parties’ income is known. Understanding how these calculations are made can also help remove some of the uncertainty and confusion that accompany child support orders. In Florida, parents of children are obligated to provide support for their children. Florida follows an “Income Shares Model” for determining child support. This means that courts will attempt to estimate the amount of money the parents would have spent on their children if they remained together and were not divorcing. This amount is then divided between the two parents, based on their incomes. Generally speaking, this is the manner in which child support is determined. Florida courts look to the Florida Child Support Guidelines, found at Florida Statute 61.30, to guide them in crafting a child support order. The amount of support determined under the statute is a presumptive amount. This means that, in most circumstances, the court must order the amount provided for in the guidelines. A court is granted some flexibility in setting the amount of child support in a particular case. Specifically, the court is allowed to set a child support amount that is either five percent above or five percent below the guidelines amount if it feels the circumstances warrant it. For example, suppose Ken and Marla are divorcing, have one child from the marriage and, under the guidelines, Ken’s presumptive child support obligation is $200.00. The court may, in its discretion, order Ken to pay between $190.00 and $210.00, depending on what the court felt was appropriate. If the court seeks to vary from the guidelines by more than five percent, it must make a written finding that explains why the guidelines amount is inappropriate. For instance, if the court wanted Ken to pay $250.00, it would need to make specific written findings that detail why the court felt it was necessary to deviate from the guidelines in this amount. Whenever child support is an issue in a Florida divorce, both parties are required to complete financial affidavits that detail their income and expenses. These affidavits are then filed with the court and sent to the other party. There are two types of affidavits available; the gross income of the individual party will dictate which form the party will use. A party whose annual gross income is less than $50,000 per year will complete Form 902(b), while a party with gross income of $50,000 per year or more will complete Form 902(c). · Gains derived from property dealings. As one can see, the list of what constitutes income is rather expansive. Get to know us: Jason Ponder, Esq. In order to deter one party from trying to escape paying child support by becoming or remaining unemployed, Florida statutes allow the court to “impute” income to an unemployed spouse. A court may impute income to a parent who tries to become “underemployed” and work hours that are below full-time in an attempt to reduce his or her child support payments. In other words, courts can treat an unemployed or underemployed spouse as if he or she is in fact employed full-time and earning a full-time wage. Before a court may do so, a court must find that the unemployment or underemployment is voluntary; that is, that the parent’s unemployment or underemployment is due to that parent’s own free choice and is not due to circumstances beyond his or her control (like a voluntary layoff or a reduction in hours ordered by the employer). In addition, a court may impute income to a party who fails to complete and file a financial affidavit. The statutes set forth specific rules governing how imputed income is to be calculated. 7. Spousal support that is paid because of a previous marriage or that has been ordered as part of the present divorce proceeding. The amount of income that results from deducting all allowed deductions from gross income is the net income of each party. Both gross income and net income figures represent monthly income figures. Once net income is determined for each party, these two net income figures are added together. The court then consults the Child Support Guidelines, which provide a grid showing how much child support ought to be awarded given the parties’ net income and the number of children from the relationship or marriage. For instance, Ken completed his affidavit and, after performing the necessary calculations, found that he has net income totaling $1,800.00. 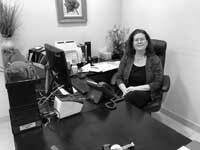 Marla completed her affidavit and found she has net income of $1,200.00. Ken and Marla had two children during the course of their marriage. In consulting the guidelines, Ken and Marla would go to the place on the grid that corresponded with their net income and number of children to find that the child support obligation is $1,001.00 per month. Suppose Ken and Marla had four children; in such an instance, their child support obligation would increase to $1,412.00. But suppose Marla’s net income was only $200.00 and the two of them had two children; in that case, the monthly child support obligation would be $686.00. The final step of the worksheet involves assigning a percentage of the obligation to each spouse. This involves taking each spouse’s net income, dividing it by the total net income, and then multiplying this result by the child support obligation obtained from the grid. So again assume Ken’s monthly net income is $1,800.00, Marla’s is $1,200.00, and they have two children. Ken’s obligation would be $600.60 per month ((1,800 / 3,000) x 1,001) and Marla’s obligation would be $400.40 per month ((1,200 / 3,000) x 1,001). Raising children requires the payment of other expenses, such as educational expenses, healthcare premiums and deductibles, and child care expenses. These additional items of support are also split between the parties, with each party responsible for his or her share of these expenses. Suppose Ken and Marla’s children’s healthcare premium is $300.00 per month and tuition for their school is $1,800.00 per semester. Ken’s portions of these expenses would be 60%, and Marla’s would be 40%. These expenses are above and beyond the child support obligations calculated under the guidelines. Sometimes it is more advantageous that one parent pays one expense while the other parent pays another expense. For instance, perhaps one parent works at a place that provides child care, while the other parent’s employer pays a significant amount toward the monthly premium for a family health insurance plan for its employees. Rather than sharing expenses proportionately, the parties may find it is more advantageous for the one parent to cover child care expenses while the other parent covers the health insurance premium for the child. Parties may be able to agree to such arrangements; however, it is important to obtain the court’s approval. Unlike alimony (sometimes called spousal support), the payment of child support is not tax deductible for the payor and it is not charged as income to the payee. In other words, the parent who pays child support to the other is not entitled to a tax deduction for payments made, and the parent receiving the payments does not pay income taxes on child support payments received. In times past couples used to have some flexibility in setting child support and alimony payments. As a result, paying spouses would attempt to gain a tax advantage by agreeing to pay a higher alimony amount (which is tax deductible) and a correspondingly lower child support amount. However, because of the child support guidelines (which set forth presumptive child support amounts), it is increasingly difficult for paying spouses to accomplish this. Once a child support order has been entered, it can only be changed if one of the parents shows a “substantial and ongoing change in circumstance.” The parent seeking the modification bears the burden of showing that such a change in circumstance exists. A change in circumstance may exist, for instance, when one spouse either loses his or her job or, conversely, receives a permanent and significant raise. Ex-spouses should realize that a court can order one spouse to pay both child support and alimony. Whereas the court may have more flexibility in setting an alimony amount, it has less discretion in setting a child support amount. Some people mistakenly believe that, since child support is paid to the other spouse, alimony is unnecessary and “pays the spouse twice.” However, alimony/spousal support is a court-ordered amount that is for the benefit of your ex-spouse, while child support is to be used for the benefit of your child or children. Your ex-spouse receives the child support payments on behalf of your children who, because they are minors, cannot receive court-ordered payments directly. Although the calculation of child support is less mysterious and arbitrary as some may believe, it is still beneficial to seek the guidance of our experienced child support attorneys. Experienced Ayo and Iken attorneys can help you in completing the affidavit and worksheet, ensuring you accurately list your gross income and take advantage of all allowable deductions. Not only this, but we can file the appropriate paperwork with the court to modify your order if you find yourself faced with a job loss or increase in income. This ensures that your child support order reflects your and your spouse’s income and financial situation. 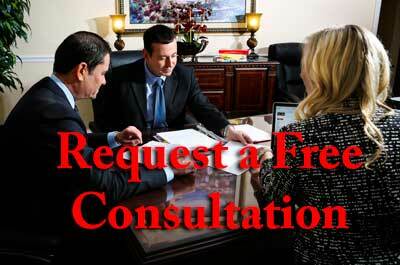 Finally, our legal team can help you in evaluating the tax consequences of any child support or alimony payments. We had a lot of damage control on a UCCJEA between FL & NY where the issuing state non-conformed, issuing orders anyway! warrant effective, and minimizing further harm. The out of state’s compiled Orders were complex, but she was up to speed also!